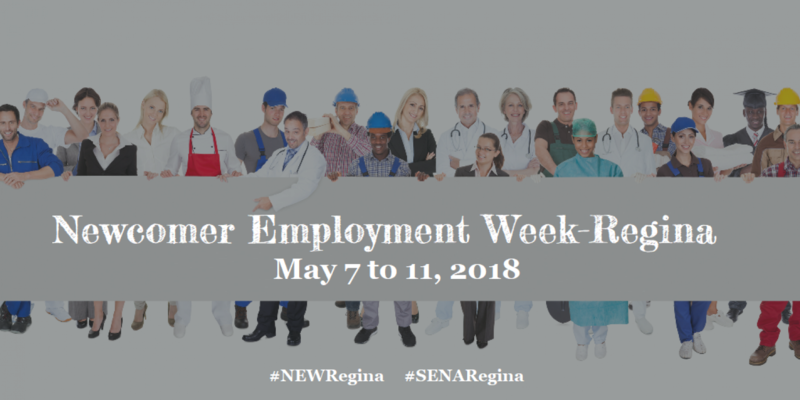 The Regina Region Local Immigration Partnership and its community partners are so pleased with the first annual Newcomer Employment Week happening in Regina, May 7 – 11, 2018! Throughout this week, employers, employment assistance programs and newcomers have come together to connect employers, service providers and the newcomer workforce! ALL events are free! presentations happening every half-hour covering employment-related topics. Friday May 11 - presentations at various locations in Regina - no registration required! If you are a newcomer to Regina, or are connected to someone who is, please consult the attached calendar of wonderful newcomer employment related activities occurring in Regina from May 7 – 11. Activities include a variety of opportunities to connect with the newcomer labour pool, to learn about employment-related support programs and services in Regina, and to learn more about the diverse workforce now in Regina.